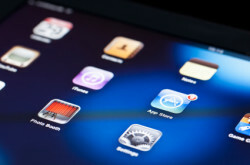 Are you using an iPad as part of your court reporting business? If you aren’t, you should be. An iPad can help you be more productive with your time away from the office. If you’re looking for ways to use your iPad more efficiently, we’ve put together a list of apps that will help you get things done on the go. CalenMob is a Google Calendar app. It inherits the simple and clean look of Google web calendar and makes it more accessible, responsive and reliable on your iPhone and iPad. This app gives you access to your calendar no matter where you are. You can make and change appointments from either iPhone, iPad or your computer. It can also be used with no internet connection. Changes will be synced back to your Google account the next time you are connected. A simple and convenient way to store your files, documents, pictures, etc. You can access your DropBox from anywhere as long as you have your username and password and internet access (to initially sign on). The best thing is that it can synchronize your computer, phone, and iPad all in one storage system. The great thing about this program is even if your computer crashes, you can still retrieve your DropBox files through logging back onto your iPad. Scanner Pro transforms your iPhone and iPad into portable scanners. It allows you to scan receipts, whiteboards, paper notes, or any multipage document. You can scan notices or even exhibits when the attorney wants to retain ownership. Once you scan the document, you can turn it into a good-looking pdf file. Pocket, formerly called ReadItLater is a free app that makes it easier for the user to store articles and read them later. It’ll come in handy for down time between deps or breaks in action. You can use the time wisely by catching up on articles during those times or even with a cup of morning coffee. iWork is essentially three applications bundled into one: Pages, Numbers, and Keynote. Pages is a word processor. Numbers is similar to Excel, where you can access spreadsheets, etc. And Keynote is a presentation software comparable to PowerPoint. This bundle will give you the convenience of opening and editing documents while on the go. Audionote lets you link audio recordings to written notes. Later on, you can click on a specific portion of your notes and listen to the audio recording associated with that moment. You can use this application with a stylus, which makes things a lot easier for note takers and for people who want to draw while using it. This can be helpful for recording ideas or memos to yourself quickly when you’re mobile. The perfect companion when you’re looking to either relax or get proofreading done, but you can’t drown out the neighbors or that barking dog! White Noise Pro offers a variety of ambient noise, nature recordings, and, of course, white noise. An incredibly easy to use productivity app that helps manage your day-to-day responsibilities. When you’ve accomplished a task, simply swipe it away. You can even break down your to-do lists into grocery, personal goals, shopping, and more. This application is perfect for busy people. This app helps you sort out e-mails with your existing accounts. For example, you can sync your Gmail account and categorize and create labels for certain e-mails. Over time, it’ll help you minimize the overflowing amount of unread e-mails you have, hopefully, to zero. The app allows you to swipe messages to either archive or trash it. E-mail maintenance has never been easier. 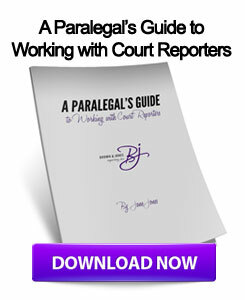 Efficiency is a huge part of any court reporter’s life. The more efficient you are, the more you can get done. These apps are all designed to help you be more productive with your time when you are away from your office. You will find yourself relying on your iPad more and more to get things done. This entry was posted on Thursday, September 26th, 2013 at 11:49 am	and is filed under All Posts. You can follow any responses to this entry through the RSS 2.0 feed. You can skip to the end and leave a response. Pinging is currently not allowed. I can’t wait to try some of these; especially the scanner pro and pocket apps!